Perhaps the only fundamentally predictable aspect of the world of litigation is that it is wholly unpredictable. 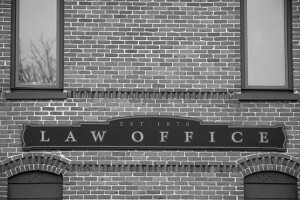 Things happen that no one foresees, and these surprises force those involved with a lawsuit to react immediately in order to continue towards obtaining a favorable result. There is no time to ponder options, but instead there is only time to ramp up productivity levels. This need for a higher level of productivity includes the attorneys and the certified court reporters, and that’s why any court reporting service worth retaining should be able to meet those needs without hesitation. Faster Than 10 Days – Our usual turnaround time for the preparation of transcripts and scanned exhibits is 10 days. That’s usually more than fast enough, but some of our clients have needed our completed work within 5 days or even on the same day. That’s not a problem. We can have everything ready to go in a timeframe that you specify. Daily Rush – Some cases are so intense and some sets of needs so urgent that our clients need our work to be made available to them on a daily basis. Once again, that’s not a problem for us – we will make sure that we provide what we have completed at the end of every business day so that the transcripts can be put to use immediately. Real-Time – In extreme situations, clients will need our transcripts to be made available as we prepare them. We can and have handled that request successfully many times. We simply provide our clients with a pathway to downloading our work as it happens so that they can take whatever steps are necessary to advance their cases on behalf of their clients. Rough Draft – When you need the transcript fast but don’t need the final certified format, a Rough Draft is the perfect option. It is the more cost effective than a finalized rush transcript and can be provided quickly depending on your needs. The bottom line for anyone who needs the help of a court reporting service immediately is that they should be able to make this request and feel confident that the product that they ultimately receive will be worth their investment. Elizabeth Gallo Court Reporting, LLC has earned a long track record of success within these particular situations. If you need a court reporting service and you need the transcripts either quickly or immediately, do not hesitate to contact us so that we can help you understand when you’ll be able to make use of your evidence.